Today I went back to school very excited to show my iBook on my iPad. This book is in Indonesian my second language. My first job was to get my language proof-read by my Indonesian colleagues. I wanted to make sure that my Indonesian was not too formal and therefore suitable for children as my book is a children’s story. 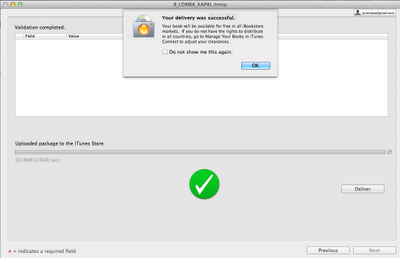 Then I tried using iTunes Producer to create the .itmsp iBook package. I am still a little confused as Indonesian is not on the list of languages. Does that mean that there are no books in the iBookstore in Indonesian? There are only 14 languages in the drop-down list. When I tried to type over the option to add Indonesian. It continued to fail when I uploaded the package to iTunes Connect. Consequently I have had to put my book language as English even though I have written it in Indonesian. 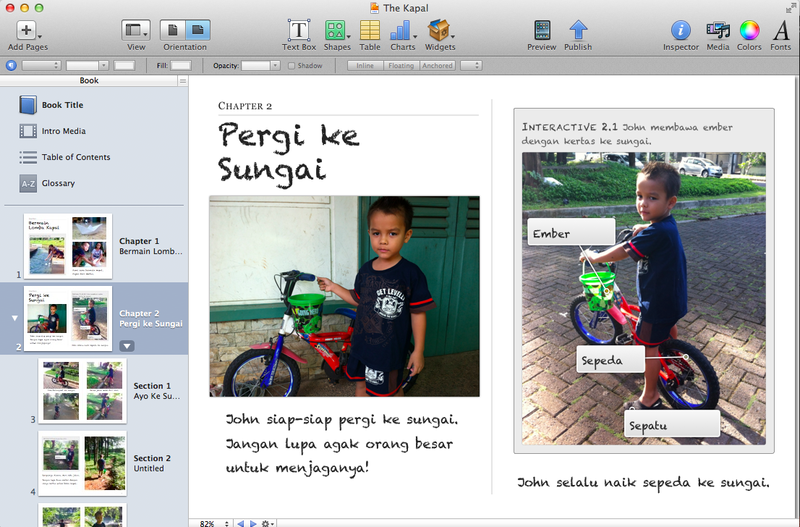 I hope that I can create a series of books for children written in Indonesian. I need Apple to add Indonesian language to their list of languages. I neglected to read the fine print and had to resize both my cover art image and my screenshot images for my book. Cover art should be at least 600 pixels along the larger axis and must be a TIFF, JPEG, or PNG file in RGB Color mode. For an average trade paperback, this could be 400 x 600 minimum size. JPEG or PNG file with the appropriate file extensions (.jpg, .jpeg, and .png) in RGB Color mode. Once I had done this I had only one other error - language. I tried to type in Indonesian but it is not one of the language options from the drop down list. In the end I put English. Needless to say the upload was successful. Now I am wondering what happens next. I have gone into the settings and made it available to the world. I downloaded iBooks Author as soon as it was released. I have been writing books in the classroom for a number of years but I have never properly published them. My books are always about the current learning. Mostly they tell the story of the current inquiry. You can read here about the Publishing Group that I am working on at my school. Originally I wrote books with Microsoft Publisher. This worked well enough as these books were just for printing off on a colour photocopier. I was able to master the double sided printing (short edge binding as I prefer landscape not portrait). I was able to then take the printed pages and cover to a local binder and get them made up into hard cover books. Then I moved to an Apple school so I used Pages, Keynote and Comic Life to make my books. I am an Elementary teacher so I prefer Keynote as I use large photos and very little text. The Keynote file can be easily exported as a PDF and then the book can be printed via Preview. I was easily able to sync these PDF books to my iPad. I have also worked with creating ePubs in Pages. I must admit I got a little frustrated with this as I had little control over the layout. I believe that layout is the most important part in an Elementary school book. I tend to keep a certain layout in my books and with ePub the pictures need to be Inline which limits the overall look. I am impressed - hands down! It's like Apple knew what I needed. iBooks Author is a combination of Keynote and Pages. You can also easily copy/paste from Comic Life as well. Most importantly you get TOTAL control over the layout. I love using the widgets. I have tried the Interactive picture widget and the 3D image widget with a lot of success! Here is a screen capture from my first book. This one is in Indonesian. My children are helping me to write it. I hope to finish soon and even try to send it to the iBookstore. Who knows - maybe I'll get to actually publish this one? 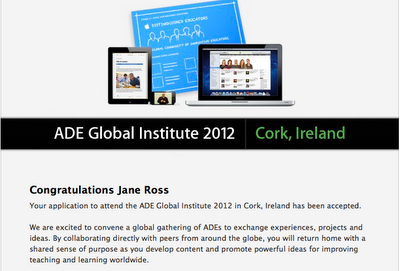 Going to ADE Global Institute in Cork, Ireland. 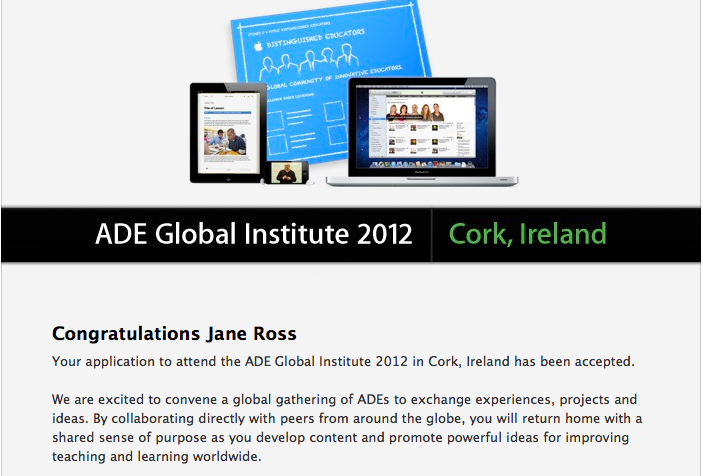 I must admit that I am thrilled to be chosen to attend the Apple Distinguished Educators Global Institute in Cork Ireland. I submitted my application not daring to dream that I would be selected. 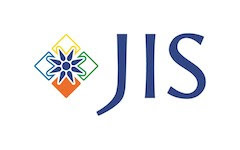 It is quite a thrill to one of the 200 ADEs chosen from across the world that will join this institute. 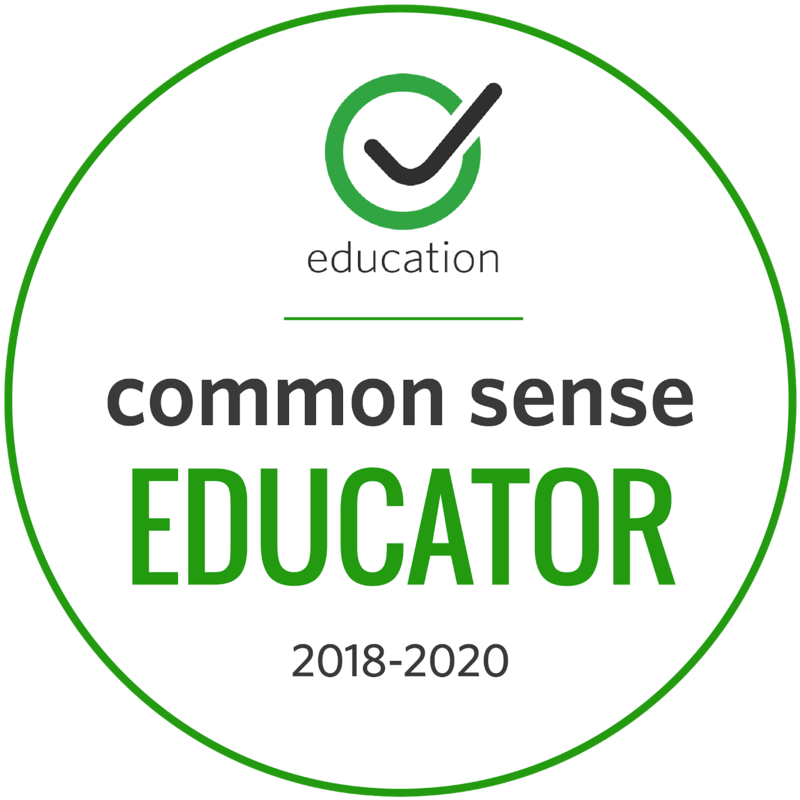 I can't wait to go and meet up with innovative teachers who love to use technology like I do. I am one of only 2 people to go from Indonesia. 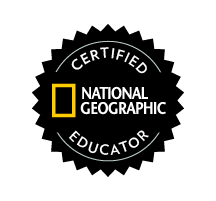 Challenge-Based Learning - I do a lot of this and would love to hear about how others are running it in their classes. It will be a great trip!